Best-Practice Service & Reliability. 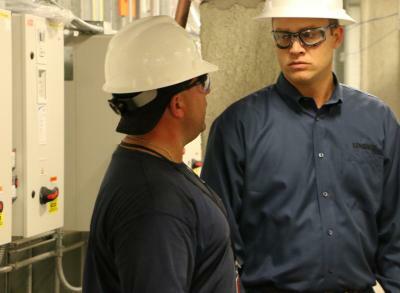 Harper backs our expertise in MEP construction with ongoing maintenance and operational services that are second to none. Our experience and resources bring depth to the critical service component, adding a total life-cycle perspective. Communication & Customer Focus. Exceptional service is a given; we back our expertise with a customer-centric communication program that ensures that your needs are met, our work is done and that we've satisfied your performance criteria. Special Projects & Scalable Flexibility. Harper has the capacity to handle the most complex, large-scale building service programs in the country, but we preserve our ability to serve mid-range projects with unique needs through regional Special Projects Divisions. Water Treatment. To help ensure top performance in today's HVAC systems, Harper offers water management programs that protect your investment and environmental concerns.